The skills of our service and maintenance team have been continuously developed over 30 years of quality control. An extensive range of maintenance equipment, manufacturer training and fleet of vehicles our team offer excellent advice and back-up service. Once your system is installed, we offer excellent back-up service. We’re simply a phone call away! Whether it is a domestic, industrial, commercial or agricultural situation. We can offer monthly, quarterly, six monthly or yearly service and maintenance. Our service technicians are fully equipped and licensed to carry out Confined Entry work. The Pump House carries out after hours “Emergency Repairs” on household pumps and electrical connections to those pumps. Irrigation has been the life blood of The Pump House and has been the pinnacle of where it all started, it is still our main draw card and our passion for this industry is still as strong as the day we started. 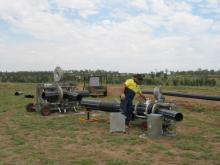 The Pump Houses’ abilities in this industry are well known from BEGA to DARWIN due to being able to design and adapt to any situation that was required. Large Corporate companies have been an area that we have excelled at due to being able to deliver a quality turnkey solution, but saying that, we also have many satisfied domestic customers also. Whether you have a pump that draws water from a rainwater tank or a pump that boosts water to a top story unit in a high rise building, The Pump House has a Service and Maintenance program that will help keep your pump in proper working order. 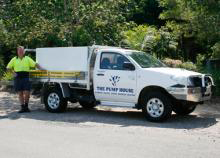 The Pump House provides regular preventative servicing. 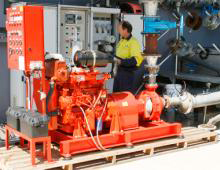 The Pump House provides regular preventative servicing. Regular maintenance prolongs the life of any equipment and helps to prevent breakdowns at busy times. A full report would be posted to you, or your nominee. The regular service fee would be tailor made to suit your situation. All programmed maintenance can be carried out on domestic, storm water, sewer, high rise, industrial, council and agricultural pumps. Regular maintenance prolongs the life of any equipment and helps to prevent breakdowns at busy times. At each site, a list of equipment is made with contact details and the level of servicing required. Each system is then placed on our maintenance schedule and at regular intervals is tested and checked with a full report posted to you. And our technicians are fully equipped and trained to enter confined spaces. We also specialise in landscape and turf system design, maintenance and upgrades. At The Pump House, we have 26 fully equipped and accredited pump service mechanics available for onsite repairs and installation. We have a modern workshop for any sized system repairs with pump test bays able to cater for pumps from 20 litres per minute to 200 litres per second in flow, as well as performance reports available for large pumps on request. All repairs are carried out promptly with programmed maintenance and emergency call out is also available if required. 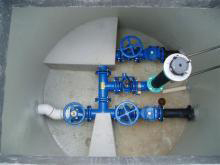 The Pump House has highly skilled and experienced plumbers on its team. Carrying out sewer pump station maintenance and repairs, new connections to irrigation and mainlines or helping you with your domestic applications. Our plumbers are Confined Entry Licenced and also hold ‘Restricted Electrical Licences’. All programmed maintenance can be carried out on domestic, storm water, sewer, high rise, industrial, council and agricultural pumps. Regular maintenance prolongs the life of any equipment and helps to prevent breakdowns at busy times. At each site, a list of equipment is made with contact details and the level of servicing required. Each system is then placed on our maintenance schedule and at regular intervals are tested, cleaned and checked with a full report posted to you. And our technicians are fully equipped and trained to enter confined spaces. We also specialise in landscape and turf system maintenance and upgrades. Regular maintenance prolongs the life of any equipment and helps to prevent breakdowns at busy times. At each site, a list of equipment is made with contact details and the level of servicing required. Each system is then placed on our maintenance schedule and at regular intervals are tested, cleaned and checked with a full report posted to you. And our technicians are fully equipped and trained to enter confined spaces. We also specialise in landscape and turf system maintenance and upgrades. 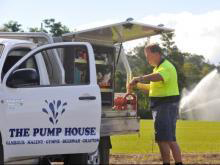 As the largest pump and irrigation company in Southeast Queensland, we have 26 accredited pump service technicians on call 24 hours a day, 7 days a week. With fully equipped vans at their disposal, our technicians are able to carry out onsite emergency repairs with ease. Simply call our emergency line on 1300 555 555 any time of the day or night. Pager numbers for our offices are: Nambour and Beerwah (#26350); Gympie (#77951); and for all Electrical repairs wherever you are dial (#75186) following the above 1300 number. 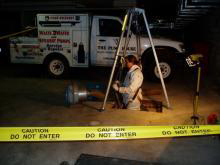 All our technicians are equipped and trained to enter confined spaces. Regular maintenance also prolongs the life of any equipment and helps prevent breakdowns at crucial, busy times. Upon installation at each site, we make a list of the equipment with contact details and the level of servicing required. Each system is then placed on our maintenance schedule and at regular intervals is tested, cleaned and checked onsite with a full report posted promptly to you. We also have a modern workshop for any sized system that requires offsite maintenance or repairs, with pump test bays able to cater for pumps from 20 litres per minute to 200 litres per second flow, as well as performance reports available for all pumps on request. We are authorised electrical contractors (ELB #65488). 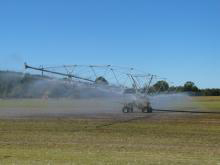 With our own electrical contracting division comprising 8 qualified tradesmen, we cater for the design of custom-built panels “in-house” for control of all pumping and irrigation systems including remote controls. We specialise in electrical supply including underground electrical services to farms, factories, high-rise buildings and pump stations. We commit to install your system exactly as planned. Naturally, we provide back-up service following this. And remember, you can conveniently access our services for onsite emergency repairs anytime – even after hours. A large spare parts area assures that most common parts are readily on hand. Access to spares, should they not be in stock, would normally be two days or less.